Travel . Food . 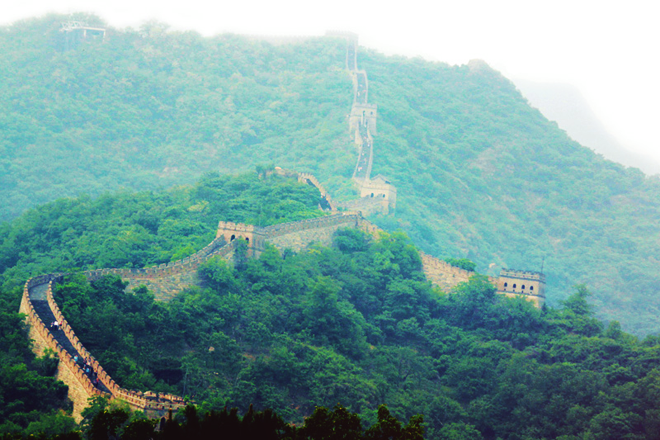 Finds: Beijing | The Great Wall. 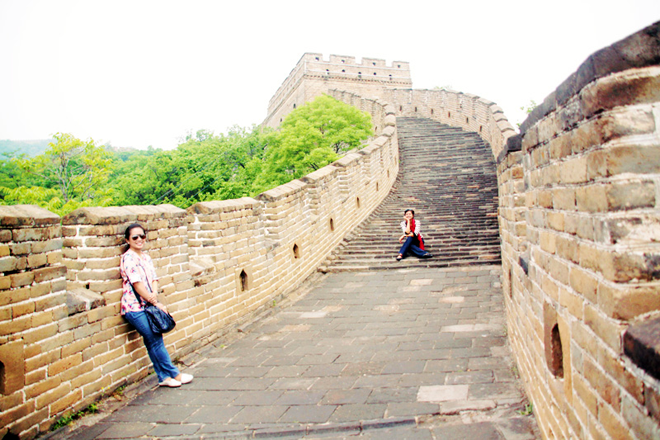 Beijing | The Great Wall. One of the reasons why going back to Beijing made me very excited and happy was because I wanted to see the Great Wall again. 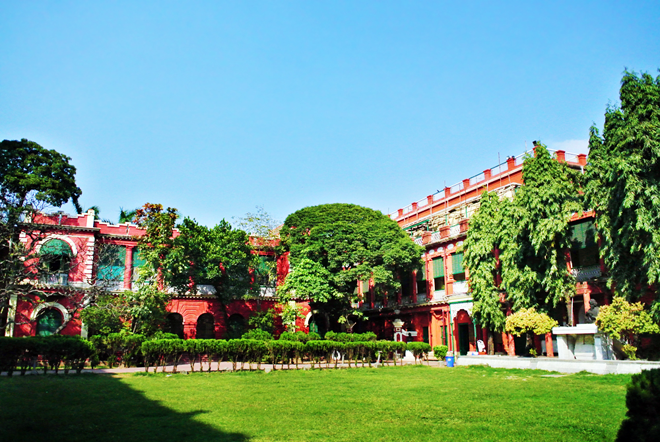 The first time I visited was more than a decade ago. The memories of that trip are hazy now. Going back, I was certain, would remind me how in awe I was of this World Heritage Site the first time I saw it. We started early that day because the trip to the Great Wall from central Beijing would take about two hours (it's about 80km away). Our guide took us to the Mutianyu section of the Walls. It is less crowded. Not a lot of tour companies take this route. 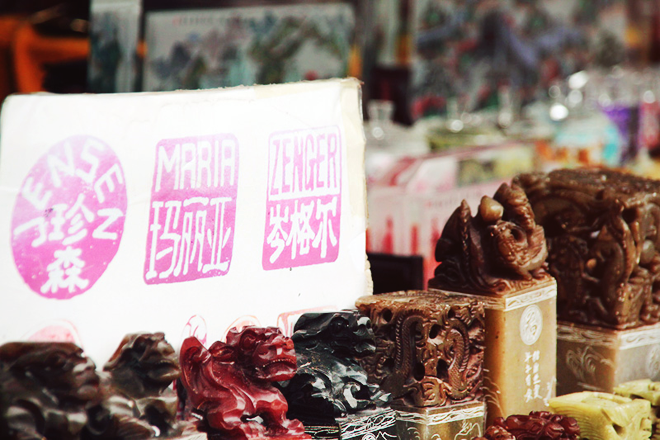 Instead, they take Badaling or Juyongguan to maximize their profits by making stops at markets and souvenir factories along the way. 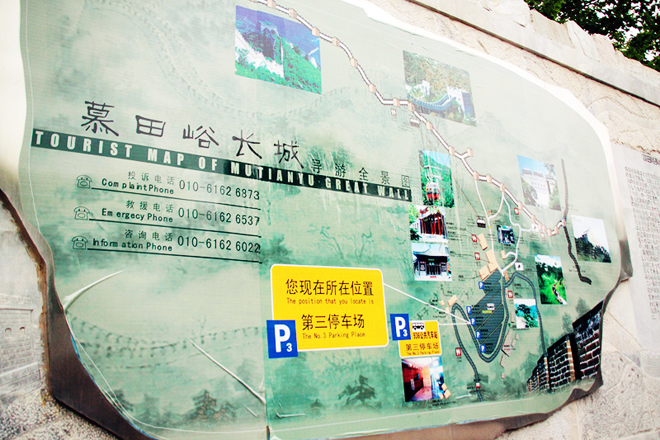 The Mutianyu route doesn't have the same tourist stops. 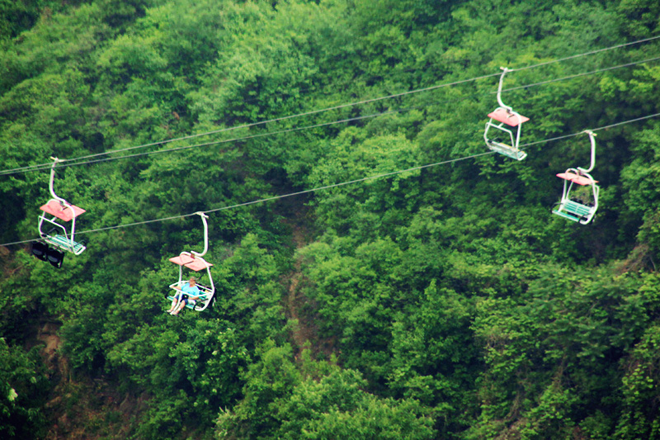 From the entrance, we took a two-seater cable lift. It brought us to Tower 6. The ride was exciting at that time we were there. But in hindsight, it was quite scary. The thing didn't look very safe, although they said no accident has ever happened here yet. 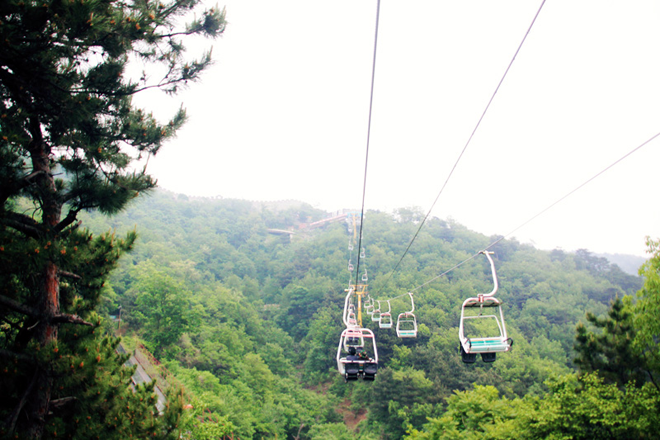 Cable cars (closed gondolas that could fit 4-6 people) are also available. 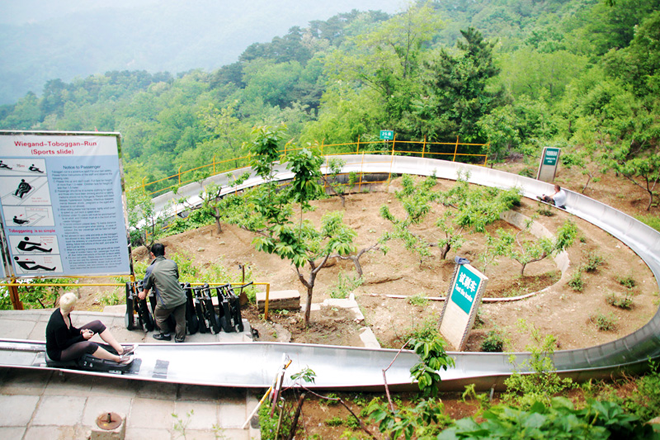 It will take you directly to Tower 14 or to the elevated portion of the Wall. The Great Wall of China was built during the Qin Dynasty (221 BC to 206 BC), Han Dynasty (206 BC–220 AD) and Ming Dynasty (1368 AD - 1644 AD). The Mutianyu section of the wall was built and restored in the early Ming Dynasty, reconstructing the remnants of a wall originally built in the Northern Qi Dynasty (550-577). 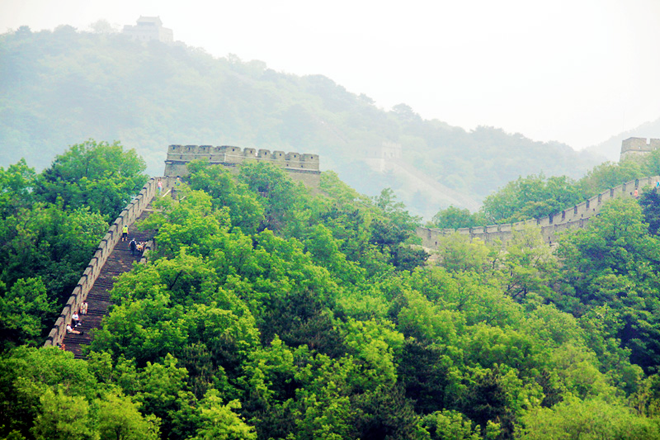 The most recent renovation of the Wall at Mutianyu was done in 1982. 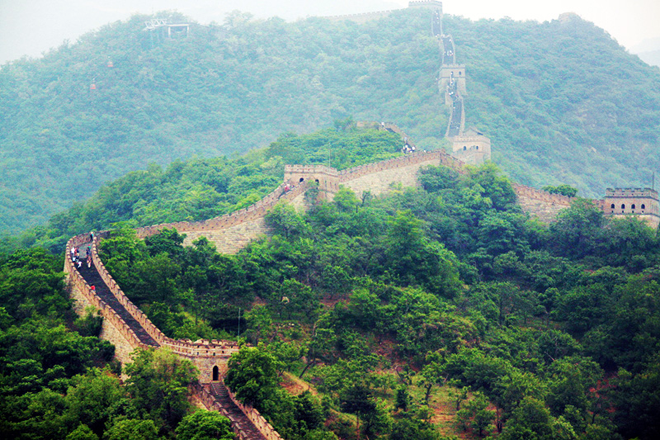 Compared to the famous Badaling section, Mutianyu is a bit more rugged and less crowded. It is surrounded by trees and orchards and has abundant natural springs. 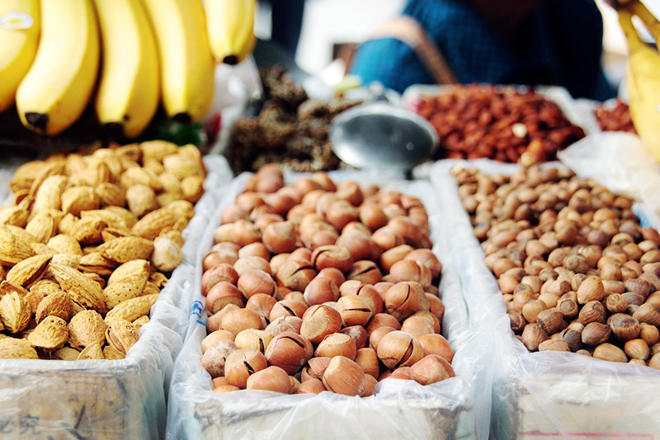 The air in this area is always fresh and in the spring, it is fragrant with chestnut blossoms. While the Great Wall is open all year round, the best time to visit (or hike) is during spring, early summer, and autumn. If you happen to visit during the summer, bring sunblock, hat, sunglasses, and enough water. Avoid weekends and holidays. The Walls will be filled with people on these days. 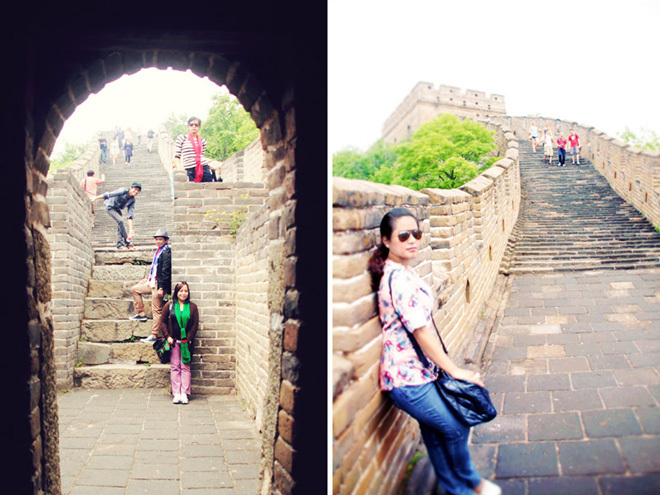 For the most popular and gorgeous section of the Great Wall, go to Badaling. 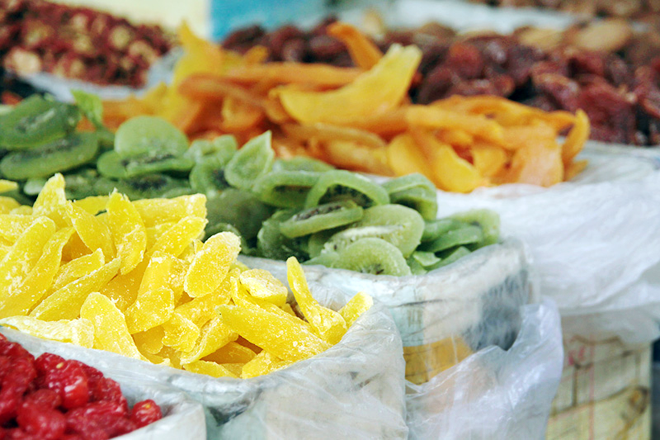 For a quick visit (if you do not have the luxury of time), go to Juyongguan. 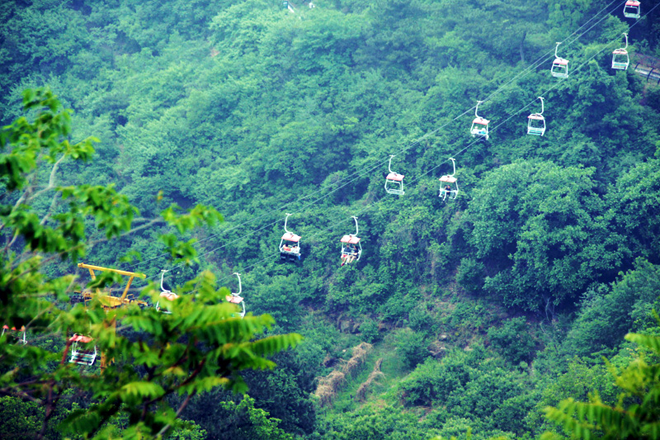 For beautiful green scenery and if you are traveling with children, visit Mutianyu. 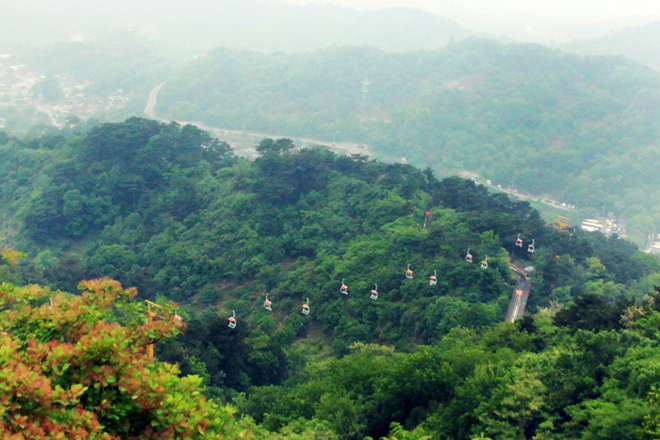 For those who want to hike the wild and original portions, go to Shixiagan, Jinshanling, Gubeikou, Huanghuacheng. My friends and I spent about two hours walking around and climbing up steep sections. We checked out watchtowers, took loads of pictures, and enjoyed the valleys on both sides of the Walls. Because some areas were really steep (and my frail little heart couldn't take it), I stayed in one place and waited for my friends while they went watchtower-hopping. 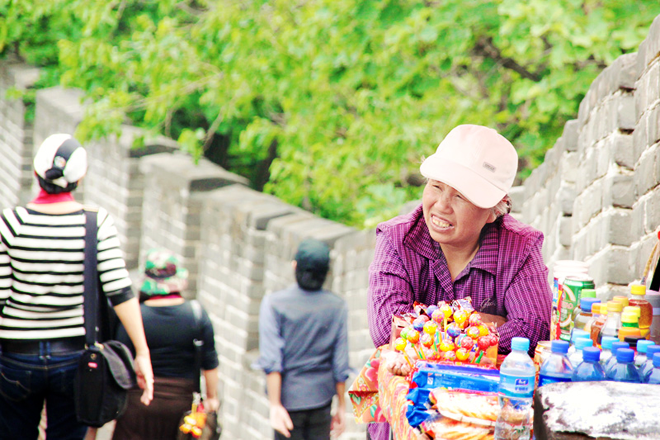 It is certain you will go hungry and thirsty with all the walking you'll do when you visit the Great Wall, so bring food and water. Vendors there sell their goods two times more expensive. On our way down back to the entrance (or exit, if you will), we took the Toboggan -- a one-seater sled that travels through a metal path. And because the mountains are really steep and there are no safety harness or seatbelts, this ride is both scary and exciting. This runs really fast and you are not allowed to stop (to prevent any accident with the person behind you). The only thing you could do is slow down on curves. 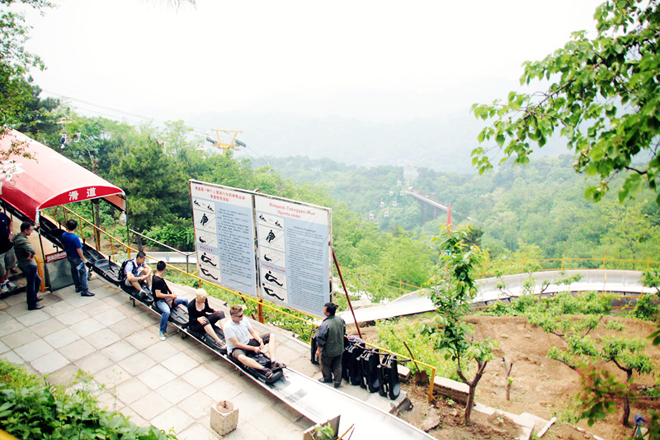 But every Toboggan ride always turns out fun. If only I didn't have a little accident when I arrived at the pit stop, I would've done it again. the incredible story of the Great Wall and all the memories we made here. Exercise weeks before going because you'll do a lot of walking when you get there. Put on some sunblock, hat, and sunglasses. Listen to your guide. Ask questions. 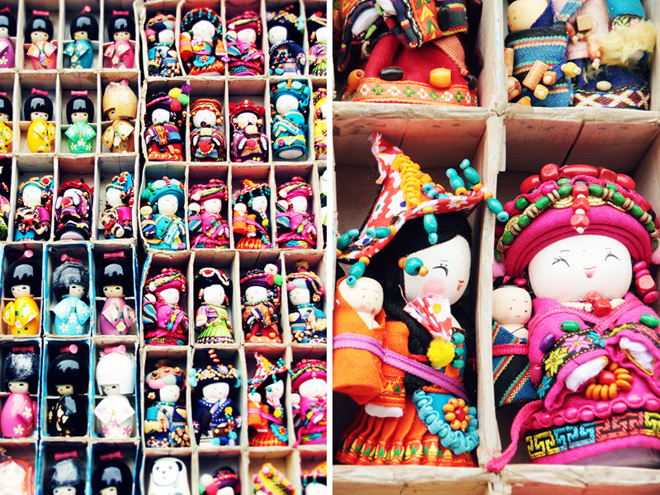 When you shop, haggle. I say, up to 50%! 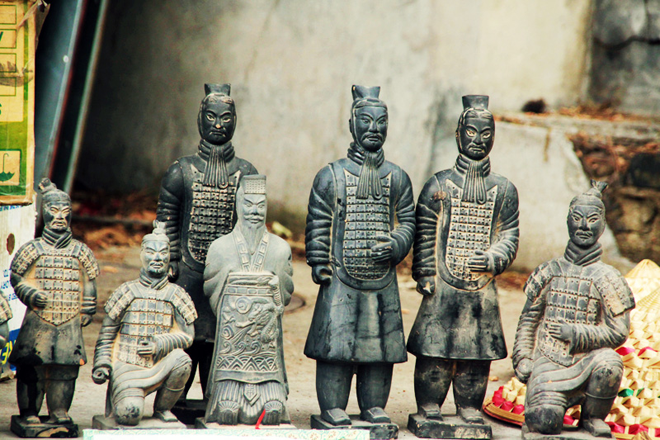 and is knowledgeable about China's history and tourist spots. He was very helpful and nice and honest. One (1) passport or 2x2 photo glued on the application form. (Do not staple. Stapled photos will not be accepted). Photo must be colored, white background, front view, no hat. Invitation letter with your host's valid Chinese residence visa and passport information page or Chinese national identity card. Original NBI Clearance valid for travel abroad. Original Bank Certificate with receipt or updated passbook. If a company is sponsoring your trip, provide the company's Bank Certificate, letter of sponsorship,and the company's business registration. 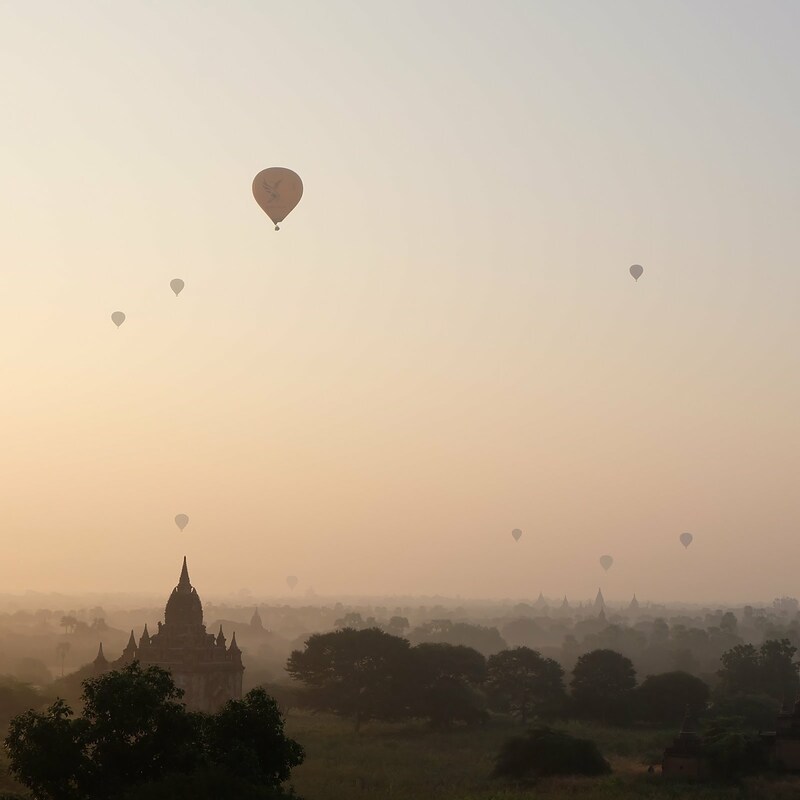 If an individual is sponsoring your trip, provide that person's Bank Certificate, letter of sponsorship & invitation, copy of that person's valid residence visa, passport information page or Chinese national identity card. For employed persons, submit Employment Certificate, company ID, SSS ID and contributions, TIN ID, and latest ITR. For students, provide school ID. For business owners, provide business registration of company, TIN ID and latest ITR. Personal appearance is required for those who are 16-21 years old. Emergency contact information at the back of your passport must be filled out and photocopied. Other documents required by visa officers if necessary. Submit filled out application form with 2x2 photo and a valid passport. You can request a one day processing for an additional Php1700 fee. Or a three-day processing for an additional Php1100 fee. Bring complete requirements to the Consular Office or you can send a travel agent to act on your behalf. Your representative must bring an authorization letter and a valid ID. Holders of Diplomatic or Government/Official passports entering/exiting for a period not exceeding 30 days. Passport holders from Singapore, Brunei, and Japan visiting China (sightseeing, business, transit) for up to 15 days. Anyone holding a booked seat at an international airline flying directly to China, transiting less than 24 hours without leaving the airport. Passport holders from the following countries -- transiting through Pudong Airport or Hongqaio airport provided they have booked seats, confirmed flights to their final destination, valid visas to other countries they are visiting, and only stay in Shanghai for 48 hours -- Republic of Korea, United States, Canada, Australia, New Zealand, Germany, France, Netherlands, Belgium, Luxemburg, Portugal, Spain, Italy, Austria, Greece. Passport holders of the following countries joining a tour group to Hainan Province (staying not more than 15 days): Philippines, Malaysia, Thailand, the Republic of Korea, Indonesia, Germany, Great Britain, France, Austria, Italy, Russia, Switzerland, Sweden, Spain, Netherlands, United States, Canada, Australia and New Zealand. All information were grabbed from the Chinese Embassy's official WEBSITE. 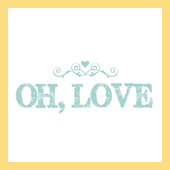 Go visit! The Great Wall of China is on my list of places to visit. I hope to visit China some day. Thanks for your China posts.